Osteoarthritis, also called degenerative joint disease is the most common form of arthritis. It occurs most of ten in older people. This disease affects the tissue covering the ends of bones in a joint (cartilage). In a person with osteoarthritis, the cartilage becomes damaged and worn out causing pain, swelling, stiffness and restricted movement in the affected joint. Although osteoarthritis may affect various joints including hips, knees, hands, and spine, hip joint is most commonly affected. Rarely, the disease may affect the shoulders, wrists and feet. 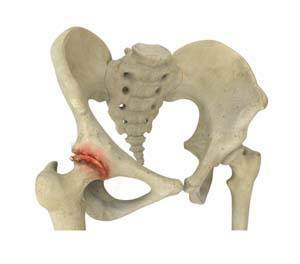 How do you Know that you have Osteoarthritis of Hip? The characteristic symptoms and diagnostic test help in diagnosing the condition. You will experience severe pain confined to hip and thighs, morning stiffness and limited range of motion. Based on the symptoms your orthopaedic surgeon will perform physical examination, X-rays and other scans, and some blood tests to rule out the other conditions that may cause similar symptoms.